The latest major Android release now makes up 0.3 percent of active Android users. Google Dashboard collects data from all Android devices that have accessed the Play Store and publishes statistics based on set 7-day intervals. During the period ending November 2nd, Google estimates that 0.3 percent of all Android devices are running Android 6.0 Marshmallow. Android 5.0 and 5.1 Lollipop now make up 25.6 percent of Android devices compared to 23.5 percent during the same period last month. The Dashboard also reveals that Android 5.0 makes up 15.5 percent while Android 5.1 makes up the other 10.1 percent. Android 4.4 KitKat has fallen from 38.9 percent the previous month to 37.8 percent for this latest weekly statistic. 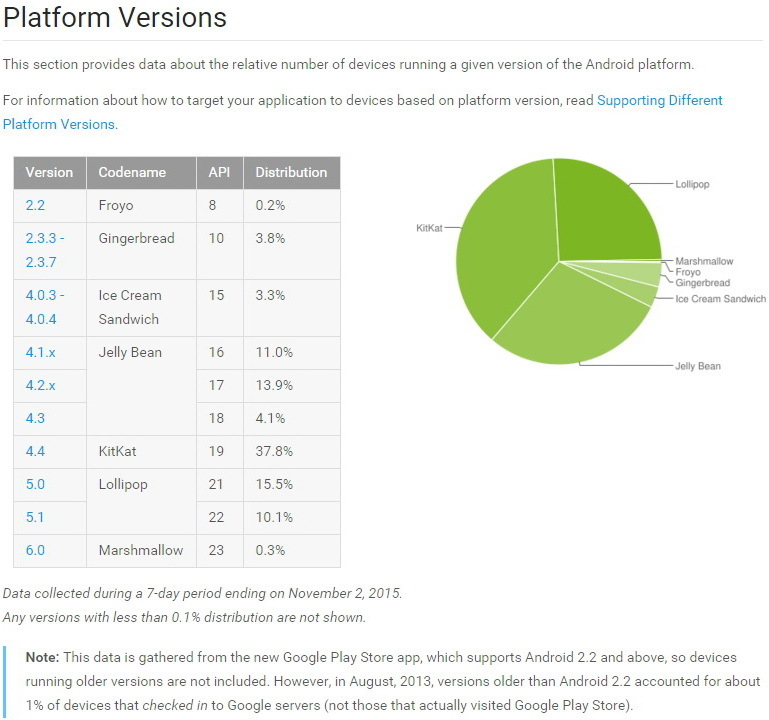 Android 4.1 to 4.3 Jelly Bean have also fallen slightly from 30.2 percent to 29 percent. A more detailed breakdown reveals that 13.9 percent are using version 4.2.x compared to 14.5 percent a month earlier, 11 percent are on 4.1.x compared to 11.4 percent a month earlier, and 4.1 percent are running Android 4.3 compare to 4.3 percent a month earlier. 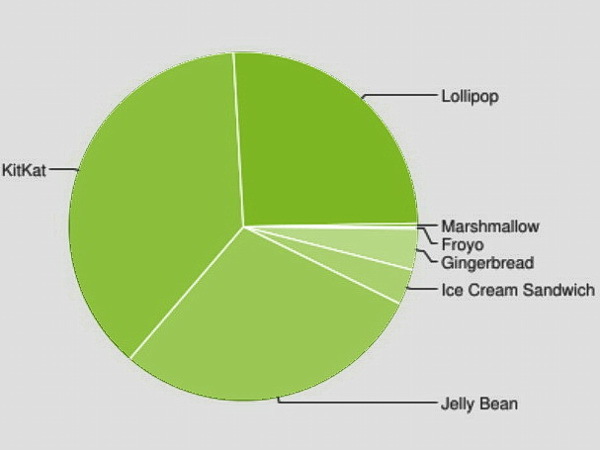 Looking further down the line reveals that 3.3 percent of Android users are still using 4.0.3 to 4.0.4 Ice Cream Sandwich compared to 3.4 percent a month earlier. Android 2.3.3 to 2.3.7 Gingerbread follows next at 3.8 percent and Froyo is last at only 0.2 percent.